To have a degree is a good thing. I will say that at the start because I am not suggesting that having a degree does not help your career, it educates you in the field you wish and indeed can be a necessity when you come to pursue that career. 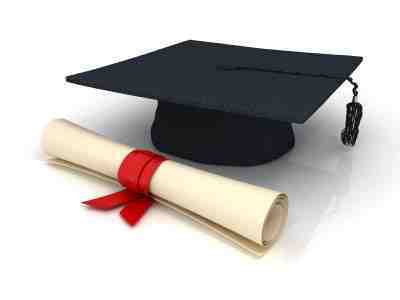 If you want to be a doctor, a lawyer, a teacher, whatever, a degree is a necessary in the path you have chosen to take. What I don’t like is the mentality that some people have, to those of us that don’t have a degree. That we are automatically considered stupid, or not as good as the people who have one. I am not sweeping tar brush over all people with degrees, but there is a percentage of people that do think that way. I come across them regularly. I chose not to go to university. I got decent grades at school and after leaving, the pull of a wage was too much for me and I got a job instead. I became an office junior, the lowliest office position as has to be said. I know myself well enough and the choice I made for myself then, I don’t regret now. I have never aspired to be a doctor, teacher etc and I have always valued being happy in my personal life over any career aspirations. I worked my way up through the ranks over the years and now I work for a partner in a large well respected firm. I am happy in what I do and am happy that I got there on my own. I’m not in a job with a massive wage, my career doesn’t contribute to society like a doctor or a teacher, but it's what I want and enjoy. I’ve had people say to me “Ah but if you have gone to university, you would have a degree and think where you could have been now” or on a more condescending note “Oh you’re more little intelligent than I gave you credit for, having no degree and that”. From someone who is actively using their degree in a career that they have worked towards, I can take that to a certain extent. What really gets on my wick however are the people that went to university, got a degree, good one or bad one, and then don’t use it. I have met people, and know people who went to university, got a degree and now work in a job, unrelated to the degree in any way, shape or form. Most of the time this is in a job which is lower down the payscale and position of my own. Now of course in this day and age, any job you have is better than having none. If that is the job you can get, then all well and good. But don’t then turn around to me, who has a better job than you and look down your nose at me because you have a degree and I don’t.